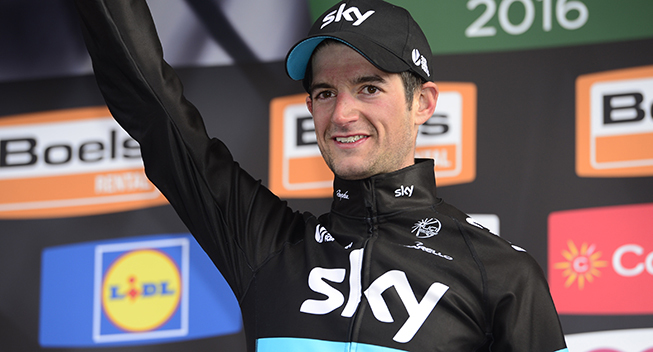 It is no secret that Wout Poels would like to be a leader at a Grand Tour. He expressed this wish already by the end of 2015. At that time it was even more than a wish as he thought that he could play his card at the 2016 Giro. The announcement of the recruitment of Mikel Landa who had excelled in Italy a few months earlier, changed things and he did not need his team to tell him anything. He understood that his goal of the Giro was falling into the water. After Landa’s failure at the Giro, Poels reaffirmed his desire to be a captain, this time at the 2017 Giro. But Landa gets a second chance. So why not focus on the Vuelta? After all, La Vuelta might well suit him; it's probably even the grand tour that suits him best. But the team has Froome, who still dreams of winning. That said, the Briton has failed five times. Given that Poels has been the most valuable teammate of Froome at the Tour de France, the triple winner could perhaps be persuaded to give him some space. However, that is not the problem according Poels who answers the question in an interview with AD (Algemen Dagblad). For Poels, it seems impossible to be leader at the Vuelta if he has just spent the month of July working for Froome. "Three weeks riding for GC is quite another thing. I know it well. Every day, in all important moments, in sprints, you have to be in front. It costs a lot of energy. A crash here, a crash there, you must avoid all the traps to hope for a podium. It's nice that people see me as a potential leader, but it's true that I never got results in a grand tour. "Mentally I can be a leader in a grand tour,” he claims but it seems that for him it is not possible to try to be the leader for the first time after having given everything to help Froome. "This is the disadvantage of this team. There was no guarantee that I could be leading in a grand tour. But I knew that. It's a choice that I made," he said, referring to the fact that he has extended its contract with Sky until 2019. This year Poels won Liège-Bastogne-Liège. He will be a leader of Sky in the Ardennes in 2017.